Homes in urban areas can be unique. Maybe they have a very small yard or a unique floor plan that has been added onto over the years. Even condos with the same floor plan can have different perceived values depending on which direction they face or what view is seen out the window. These small details matter, and these are details that we pay attention to when valuing a home. 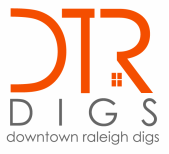 As Realtors who work with buyers that are specifically looking for a home or condo in the Downtown Raleigh area, we have an advantage because we know what they are looking for, what they place value on, and how they react to different features. Give us a call today to see what we can do for you as you consider selling your home.